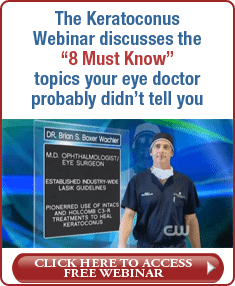 Dr. Brian Boxer Wachler is a leading keratoconus treatment expert. He is considered by many as “The Keratoconus Guru.” He was the first in the United States to report the results of Intacs® for Keratoconus in 1999. For over 19 years, he has performed many thousands of Keratoconus procedures on patients from all over the world. 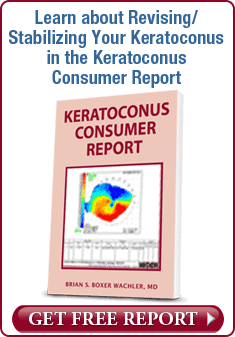 He published the largest study to date on Intacs® treatment for Keratoconus. Due to his pioneering work, Intacs® is now recognized as a treatment for Keratoconus. He invented the non-invasive Holcomb C3-R® Crosslinking System in 2003 and has the largest experience with crosslinking in the world outside of Germany. Dr. Brian is a best-selling author of 3 books on Keratoconus –Modern Management of Keratoconus, Holcomb C3-R® Crosslinking for Keratoconus and Other Disorders & How We Conquered Keratoconus. 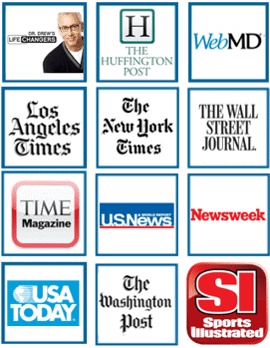 Dr. Brian served on the medical advisory board for a non-profit keratoconus organization. He recently was presented with a Gold Medal for his scientific contributions for the reduction of glare and halo risk in vision correction surgery. He received the honor of serving as Vice-Chairperson of the International Society of Refractive Surgery Annual Meeting in 2002. He lectures, teaches and publishes extensively on surgical vision correction. Dr. Brian works with the United States Food and Drug Administration (FDA) clinical trials for investigating new procedures, equipment, and protocols. Click here to read a letter about Dr. Brian’s contributions to the United States Department of Defense. 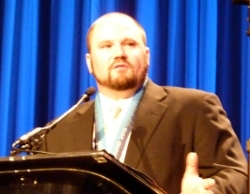 Dr. Brian received the 2010 Jules Stein Living Tribute Award for inventing C3-R® and performing it on U.S. Bobsled Driver Steven Holcomb. This helped restore his vision, enabling him to win the Gold Medal in 2010 at Vancouver – the first Gold Medal for the United States in bobsled in 62 years. 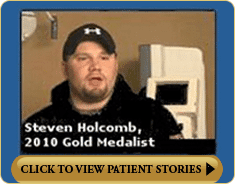 “Holcomb C3-R®” was renamed in Steven’s honor on The Doctors television show in 2010 because of the world-wide recognition that Steven brought to the procedure. Dr. Brian was the first doctor in the world (except for Germany) to perform corneal collagen cross linking and in 2003 he invented the 1 day recovery, non-invasive Holcomb C3-R® Crosslinking System. Dr. Brian has the LONGEST corneal crosslinking track record of any doctor in the United States, Canada, Asia, Latin America & South America, and Europe (except for Germany). Would you trust your precious eyes (you only have two of them!) to someone who just learned these procedures to save a few dollars? This is why patients from all over the world who have keratoconus signs come to Dr. Brian to learn about keratoconus causes and undergo treatment. Dr. Brian is regarded as one of the top leaders in the sub-specialty of Keratoconus Vision Improvement. ELECTED by his peers as one of the best eye surgeons worldwide out of 210,730 eye surgeons in the world. His role as “America’s TV Eye Doctor” has been earned through his unwavering integrity and broad expertise. He is often consulted by other eye surgeons who need assistance with challenging patients or by patients that need repairs. He was the Director of the UCLA Laser Refractive Center at the Jules Stein Eye Institute for many years. He is also on staff at Cedars-Sinai Medical Center. Doctors representing all parts of the Medical Field commonly fly in from all over the United States and outside countries to have Dr. Brian treat them with his unique and proprietary treatments. His surgery patients also include many Registered Nurses and Pharmacists. 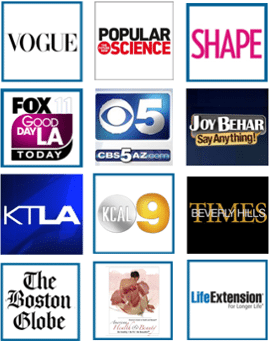 Dr. Brian is also sought after by numerous celebrities, film and TV stars, famous musicians, professional athletes, CEOs and government leaders in the United States and abroad who trust ONLY Dr. Brian with their eyes. 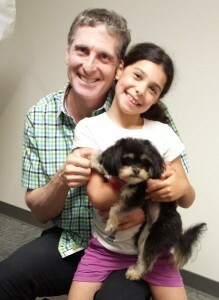 One of Dr. Brian’s special qualities is that although he sees patients from all “walks of life” (famous and non-famous), he is described as one of the most “down to earth” doctors people have met. Everyone receives the same high quality of care whether you are a famous celebrity or not. He has a special empathy for all people with eye problems since his career mission is to help everyone who needs him. 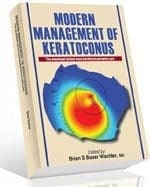 As well as being Board Certified by the American Board of Ophthalmology, Dr. Brian is Chief Editor of the popular book, Modern Management of Keratoconus. He is the author of the LASIK Consumer Report, one of the most detailed and widely consulted consumer publications in the field. 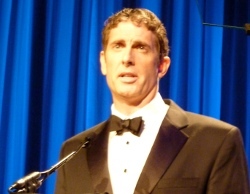 Dr. Brian has pioneered surgical techniques and guidelines that have become industry standard. 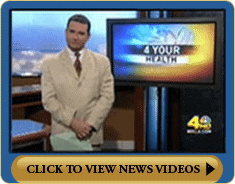 He also has been extensively interviewed on TV, radio, and in magazines and newspapers – Dr. Brian is considered “America’s TV Eye Doctor” by the media. He is a highly sought after eye surgeon and is known as “The Surgeon’s Surgeon” since so many other surgeons come to Dr. Brian for surgery on their own eyes – including eye surgeons, brain surgeons, orthopedic surgeons, plastic surgeons, and breast cancer surgeons to just name a few. Doctors representing all parts of the Medical field commonly fly in from around the United States and outside countries to have Dr. Brian treat them with his unique and proprietary treatments. His surgery patients also include many Registered Nurses and Pharmacists. 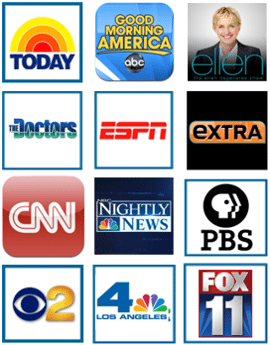 Dr. Brian is also sought after by numerous celebrities, film and TV stars, famous musicians, professional athletes, CEOs, and government leaders in the United States and abroad who literally have millions of dollars on the line and trust only Dr. Brian with their eyes. One of Dr. Brian’s special qualities is that although he sees patients from all “walks of life” (famous and non-famous), Dr. Brian is described as one of the most “down to earth” doctors people have met. Everyone receives the same high quality of care regardless if you are a famous celebrity or a manual laborer in the field. He has a special empathy for all people who have eye problems and his career mission is to help everyone who needs him. 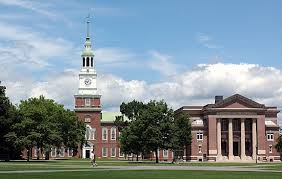 Answer: Partly because the type of person Dr. Brian is and partly because he became a doctor at Dartmouth Medical School. As a surgeon, Dr. Brian enjoys working with his hands. In his spare time, he uses them to restore classic American muscle cars (his twin daughters even help out too!). In an educational piece about the Visian ICL lens for keratoconus and myopia, Dr. Brian created an entertaining film “Behind the Lens” about what it was like to do a live vision procedure in front of millions of people on NBC’s Today Show. If you would like to see a “slice in the life” of Dr. Brian, you will certainly enjoy this. Click below to watch “Behind the Lens” at its Los Angeles premiere. A former college rower, Dr. Brian still races in rowing competitions. He made this video for his twin daughters when 8 years old to teach them “never give up when the going gets tough” – an important lesson about life regarding accomplishing goals. 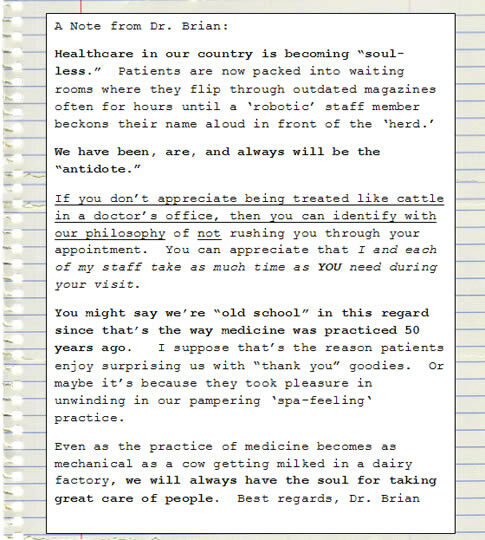 To review Dr. Brian’s CV, simply Click Here. 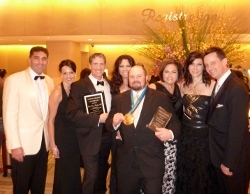 In 2010 Dr. Brian was honored along with his patient, Olympic Gold Medalist Steven Holcomb. Both are credited to increasing awareness in 2010 for modern Keratoconus treatments. The Jules Stein Living Tribute Award was presented to Dr. Brian for pioneering alternative treatments to the painful cornea transplant for Keratoconus patients. Steven Holcomb was presented with the Athlete of Vision Award for raising awareness that Keratoconus can be treated and vision restored. Steven had retired from bobsledding in 2007 when Keratoconus began to drastically affect his ability to safely drive his bobsled at mock speeds. Steven’s coaches knew Steven was the best hope for Olympic Gold so they researched the Keratoconus options and discovered Dr. Brian. After being treated by Dr. Brian in 2007, Steven went on to win World Cup events in 4-man bobsled and then triumphed at the 2010 Winter Olympics securing the Gold Medal in the 4-man bobsled event, the first for the USA in 62 years. At the Vision Awards several celebrities were presenters, including Will.i.am of the widely popular music group the Black Eyed Peas. Other honorees that evening included Buzz Aldrin (astronaut & 2nd person to walk on the moon), Lilly Tomlin (comedienne, best know for her characters Ernestine and Edith Ann on the show Laugh-In) and Steve Jobs (former Apple CEO). For over 11 years, Holcomb C3-R® has been halting the progression of Keratoconus. Many individuals have been able to resume living their lives to the fullest, spend time with their families, and resume working. Unfortunately, those individuals with a Keratoconus diagnosis who have served or are attempting to enlist in the armed forces are not provided this opportunity. We are constantly receiving inquiries and understand the frustration of these men and women who want to serve their country and are denied this due to a diagnosis of Keratoconus. contribution to the United States Military. We at the Boxer Wachler Vision Institute are committed to all Keratoconus patients, and continue to petition the Department of Defense to update their policies regarding Keratoconus. We urge you to help as well by writing a letter requesting a medical policy change that would allow individuals with Keratoconus to enter the military with documented stability and appropriate visual acuity after receiving Holcomb C3-R® (Cornea Collagen Crosslinking). The Boxer Wachler Vision Institute is helping by “leading the charge” at the grass roots level. It is our hope that an outpouring of support and requests for reassessment of the policies may result in positive action on behalf of the Department of Defense. Individuals with Keratoconus should be able to live their lives just as much as any other person, and for many that includes a career in the Armed Forces. With their Keratoconus stabilized, these people are able to perform all the same requirements of their colleagues that do not have Keratoconus, and should be treated as such. Listen to Johanna’s story, she has hope now! Sitemap | Privacy – © 2019 Boxer Wachler Vision Institute All rights reserved.